Paper Crafts by Candace: Jamie's 30th Birthday Bash "Back to the 80's"
Jamie's 30th Birthday Bash "Back to the 80's"
Hello and Welcome to Jamie's 30th Birthday Bash! 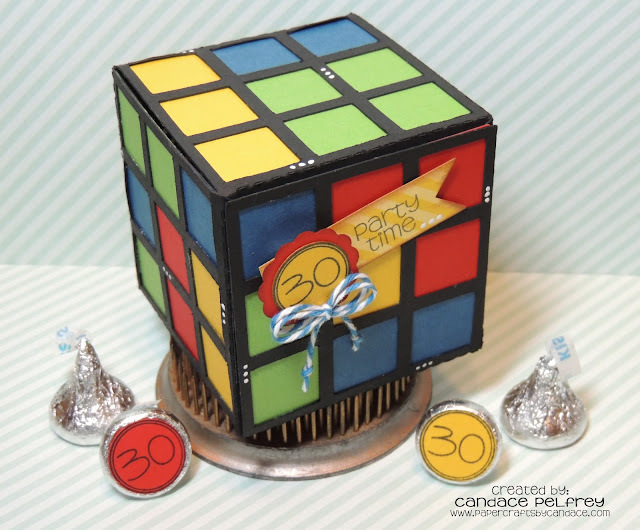 For this blog hop we are hopping back to the 80's! Happy 30th Birthday Jamie! I am so excited to share my projects for this hop. I've been looking forward to it for awhile!! My first project.. Rainbow Brite Card!!!! Isnt it so cute! I love how it turned out. 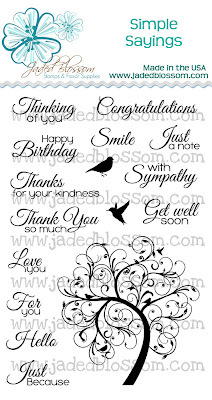 The sentiment is from Jaded Blossom's "Sweet Birthday Wishes" stamp set. 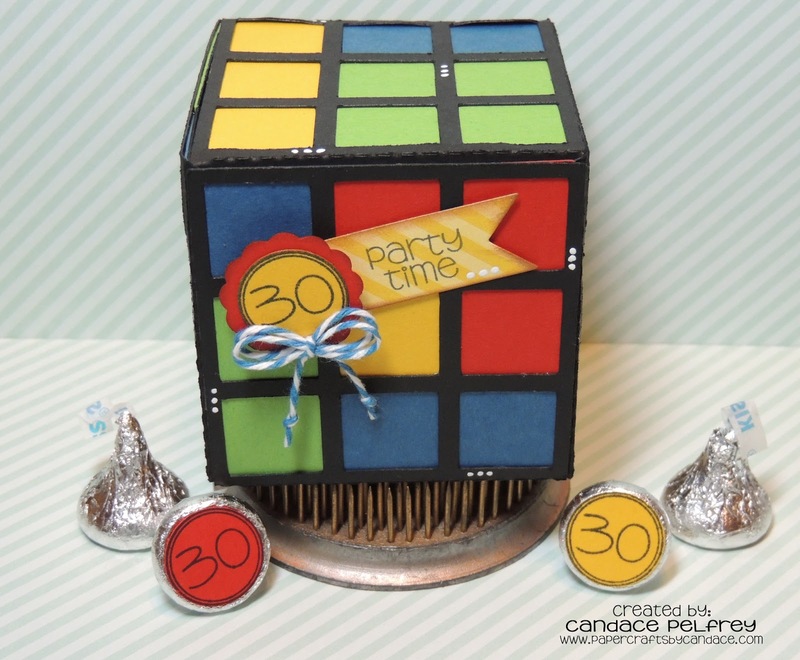 And my second project.. a Rubix Cube Treat Box! LOVE IT! I use to always play with these! 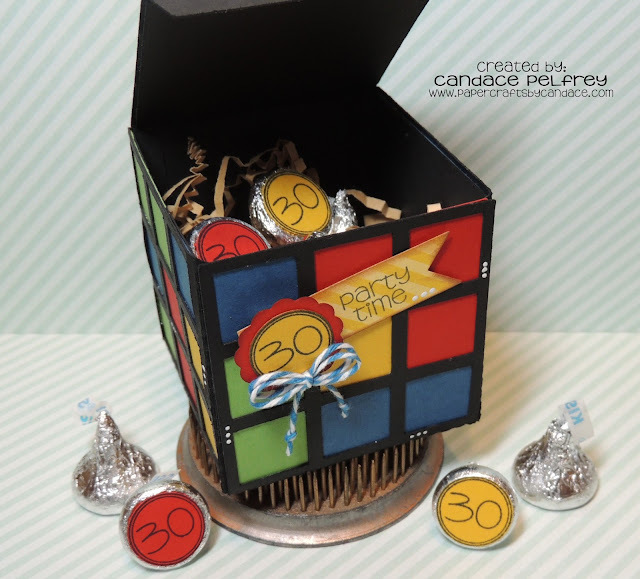 And this treat box will be available for purchase over at SVG Cutting Files! The sentiment is also from Jaded Blossom's Sweet Birthday Wishes. And the 30's are from Jaded Blossom's Number Candies. 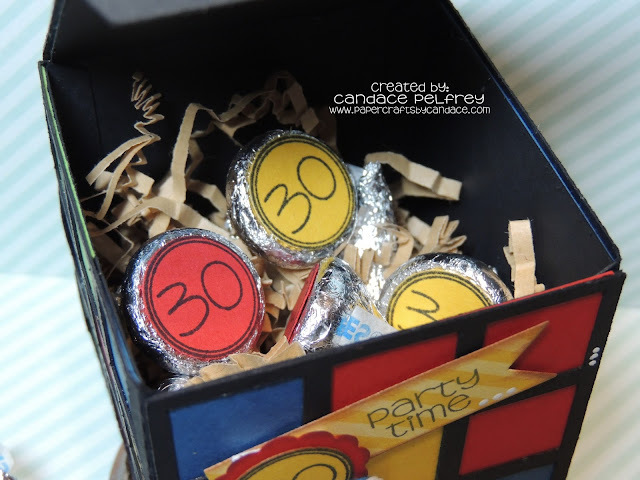 I stamped party time on the small flag die from Flag Dies 2. Here is what it looks like open.. more candies inside!! Now what is a blog hop without blog candy? 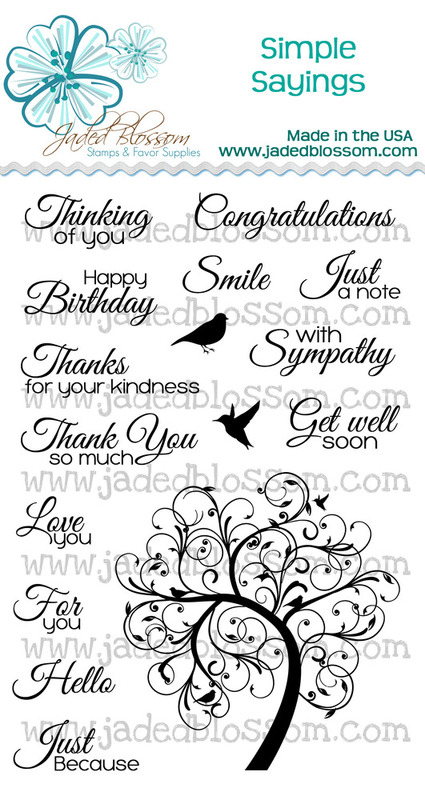 Jaded Blossom is giving away a Simple Sayings stamp set (in clear stamps). All you have to do is comment on all the blogs in the hop and wish Jamie a Happy Birthday!! OMG OMG OMG OMG OMG!!!!!!!!!!!!! When I was a baby my room theme was Rainbow Bright.. this is the best card I've ever seen in my entire life!!!!!! Did you make the file yourself? Or did you buy it somewhere? I'd Love to know! Thanks so much for sharing!! I loved rainbow brite so cute! hey i love this rainbow bright idea..where did you get this cutting file from?? where can i buy it ??? Omgosh!!!! I love that card! Did Michelle tell you about my Rainbow Brite tricycle I had. LOL!Seriously that card is so cool! And that box is so awesome too! Thank you so much for putting together this hop for me!!!!!!! I remember the days of Rainbow Bright. The card is just too cute and the treat box is too. What??? Rainbow Brite.... I loved her so much as a kid!!! Great job & the Rubic's cube.... just awesome!!! Great projects Candace!!! Memories! My girls had Rainbow Bright and Rubic's Cube when they were kids! You did a great job with both projects! These looks Amazing. I love the Rainbow Brite Card super cute and the Rubic Cube looks Awesome Too. This is so super cute!! I love Rainbow Bright!! OMGosh!!! I Love Love Love your projects. What a fun birthday theme. HAPPY BIRTHDAY JAMIE! I had a rainbow brite oven. Love this card! These are so super AWESOME!!! I love that rainbow bright card...such a great childhood memory and that rubic cube....FAB!!! Loving this birthday hop theme!! wishing Jamie a very happy birthday!!! I LOVE LOVE LOVE this card!! So nice of Ann to offer it as a freebie! Thank you for sharing it! :0) I love the treat box too!!!! So fun! I love Rainbow Brite, too cute! Happy Birthday Jamie! I love your card Candace. I remember I was Rainbow Brite one year for Halloween. My mom even made me a rainbow wig to go with the costume. Seeing your card made my day. I love Rainbow Brite. I agree with Shar, you have totally outdone yourself with these projects! Yup, the Rainbow Brite is now my all time FAV!! Candace...This is so cute..I love the cube...I'll need to get me one of those...Awesome as usual! Absolutely adorable!!! I love Rainbow Brite! Rainbow bright was my favorite. I love...love your card. 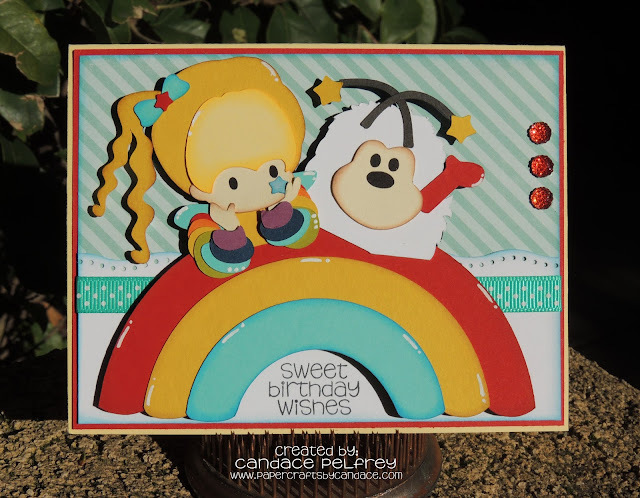 Your Rainbow Brite card ROCKED!! The Rubix Cube was AWESOME too! Love, love, love your projects! Thanks for sharing Rainbow Brite! AWESOME projects today Candace!!! LOVE that Rainbow Brite!!! So super cute!!! The rainbow brite is such an awesome idea. I love it. OMG! Both projects are fabulous!!! 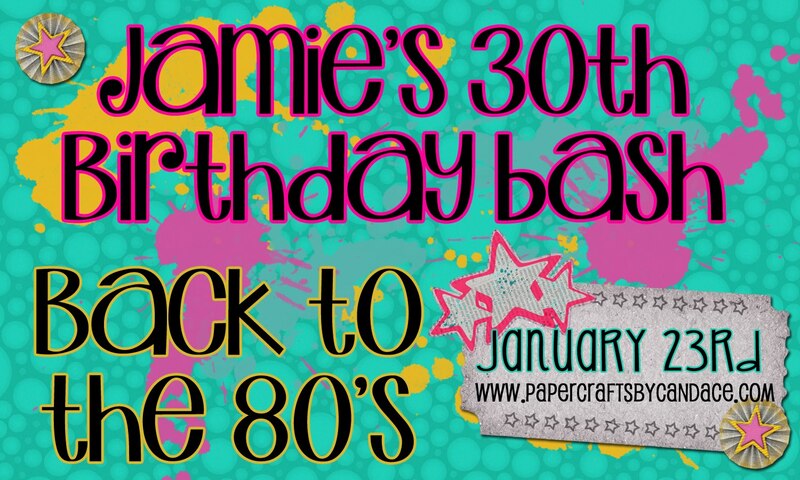 Love, love love them, my sisters are both 80's babies and certainly will love these, TFS and HAPPY BIRTHDAY TO JAMIE! Wow! Your projects are amazing!! 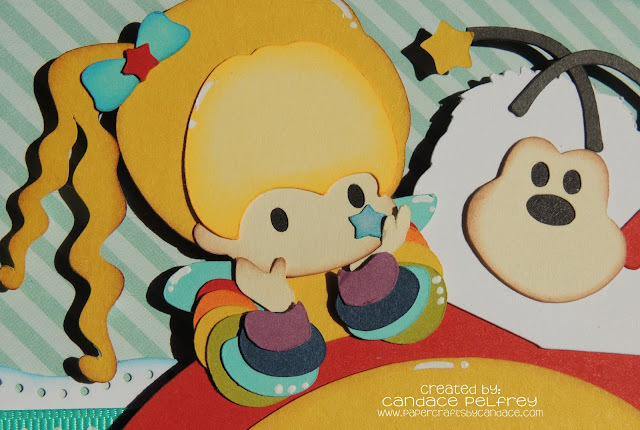 I love love love the rainbow brite card! Thanks so much for sharing the svg file with us!! So glad the gals on fb shared your link with me!! You are super talented! I love your projects! best SVG ever!!! this makes me sooo glad I have a cameo! Happy Birthday Jamie! Great project...thanks for sharing! Candace your projects are amazing I just love them all thanks for the free file too, sorry I am here so late. Valentine Lollipops and Pencils Treat Pack! SVG Cutting Files: This Love Challenge! Happy Birthday to my Dad!! Kate's Tropical Surprise Birthday Blog Hop!